The hognose snake has an interesting appearance and attractive markings, making this species popular as pets. Since these snakes typically don’t grow any longer than about three feet, housing, feeding and handling are all manageable for most snake enthusiasts. Hognose snakes are able to find and escape through the smallest of holes, so secure housing is essential. A good choice is a 20-gallon aquarium with a tight-fitting lid, latched so that your snake can’t push his way out. The lid must provide adequate ventilation as well. A snake cage of the same size is also a good choice. Fill the bottom of the enclosure with a few inches of an absorbent material such as pine shavings. Don’t use sand or gravel, since these may allow bacteria to grow, and never use cedar, since cedar shavings can kill your snake. Provide your hognose snake with access to water at all times. Use a low, heavy dish that your pet can’t easily dump. These snakes normally eat toads in the wild, but they can learn to eat mice, making it easier for you to find food for your pet. Try to buy a snake that is already used to eating mice, but if you can’t, rub a mouse along a toad to give it that scent before offering the mouse to your snake. This is usually enough to fool him into eating something different, and over time he will come to accept the mice even if they don’t smell like toads. Keep the humidity level in your snake’s cage low, since hognose snakes are very sensitive to high humidity. Air that is too damp can result in respiratory infections in hognose snakes, especially in the western types that prefer a very dry climate. Keep the overall cage temperature between 75 and 85 degrees. A heating pad of some sort placed under a portion of the cage will offer your snake the warmth he needs, and by heating only a portion of his environment you allow your hognose to decide what’s most comfortable for him. Hognose snakes tend to be quite docile, and rarely try to bite their owners. 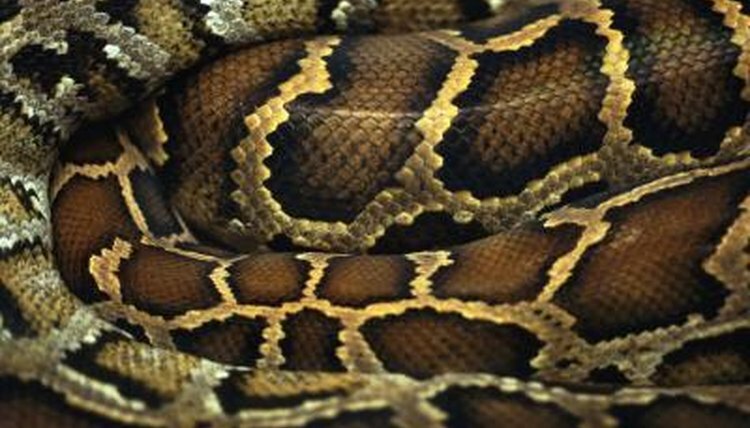 Keep in mind that if you are bitten by your pet he may inject a mild venom, but the Long Island Herpetological Society reports that this venom is not known to be toxic to humans. If you startle your snake or if he feels threatened, he’s likely to flip over and play dead, but once he’s used to living with you he won’t do that very often. Handle him carefully and support his body so that he feels secure.